Tastes pungent, spicy, gives a strange numbness in tongue, something like a carbonated drink or a mild electrical shock of 9 volt battery. 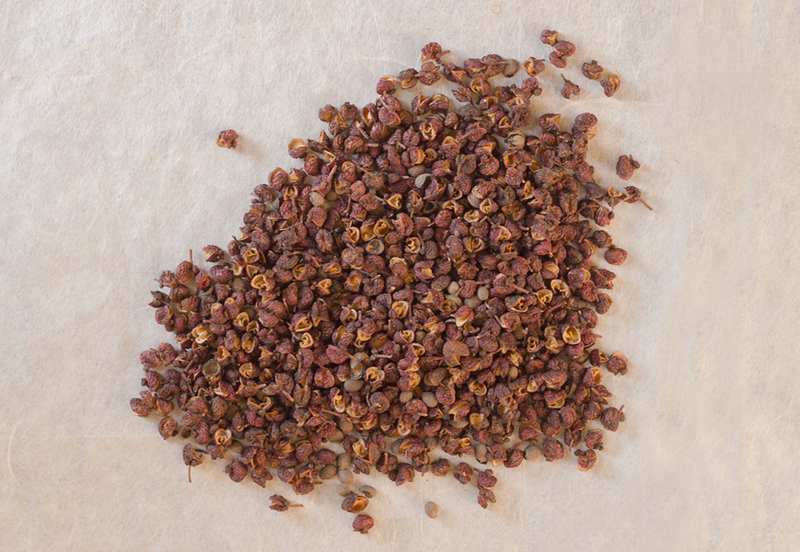 Timur is one of the basic spice in everyday Nepali kitchen. Golbhedako achaar [tomato chutney] is made with timur and roasted tomatoes, which accompanies with Daal bhat [lentils and rice, as a staple dish in most Nepali regions]. More famous dishes include MoMo [dumplings], thukpa [noodle soup], chow mein, Phalghi [winter stew of sherpas] etc. Timur plant’s roots, bark, leaves, fruits and seeds are used for various purposes. The bark, fruits and seeds are extensively used in indigenous system of medicine as a carminative, stomachic and anthelmintic. The stem has exhibited hypoglycemic activity in the preliminary trials. The bark is pungent and used to clean teeth. The fruits and seeds are employed as an aromatic tonic in fever and dysphesia. An extract of the fruits is reported to be effective in expelling roundworms.